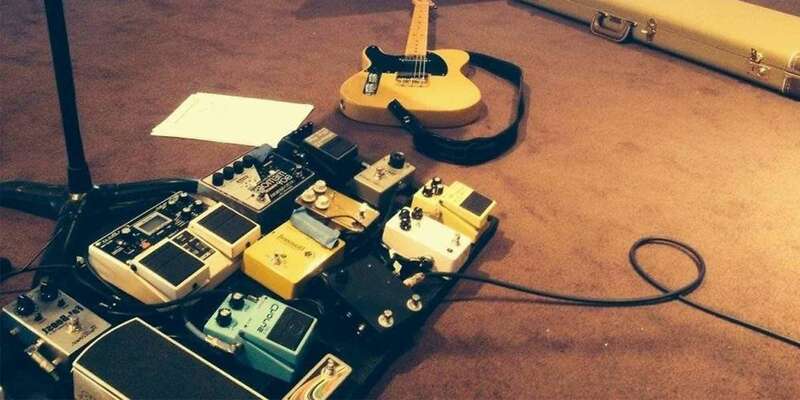 In previous editions of Potent Pairings we've focused on breaking down the sounds of some key players and recordings with different combinations of pedals. In our first video treatment in the series, we're doing things a little differently by looking at seven different famous sounds that can be captured by a simple chain of four stompboxes. Watch the video above to see Joe nail each of these tunes with different combinations of the Moog MF Flange and MF Chorus Minifoogers along with a Fulltone OCD and Boss CS-3 Compressor. Take a look below for breakdown of the different levels and settings used in each. For Barracuda, Joe kicks on the OCD, MF Flange and MF Chorus with a low rate yet high depth setting on the flanger. The drive is a bit higher than center on the OCD to give it a great vintage dirt sound without totally saturating the signal. Much has been written about the tone and gear of Eddie Van Halen, and to capture the particular gritty swirl of "Unchained," Joe pairs a traditional flanger setting with a beefed up overdrive from the OCD and just a touch of Chorus. 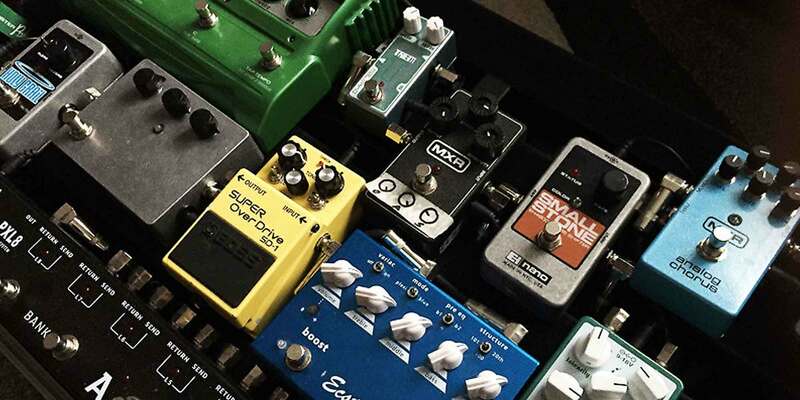 Here's a look at a few rigs where the right pedal pairing can get you pretty close to that original sound. The Cars - "You're All I've Got Tonight"
The Cars were one of the sound-defining bands of the '80s which means flanger and chorus are absolutely key when replicating their tones. Compared to the Van Halen tune, "You're All I've Got Tonight" required less force on the overdrive, but higher rates on both the MF Flange and Chorus pedals. As a band, Wild Nothing certainly represent the contemporary indie rock embrace of '80s sounds, which means slightly higher rate and depth settings on the chorus pedal. This pairing is a great example of the power of chorus and compression in tandem. We heard plenty of comments asking us to take the same approach to classic rigs, so let’s go back 50 years and see how we can replicate those classic tones with the latest modern gear. The combination of a compressor with the chorus pedal gives a warm but tight tone that nails the smash single "Get Lucky" by Daft Punk. This song is nothing if not an homage to disco and this combination can be used for all manner of parts from that era. Looking at you, wedding band players. Tame Impala - "It Is Not Meant To Be"
Fans of Australian psychedelic outfit Tame Impala are constantly enchanted by the tangible motion of their sounds, and for the final two songs of the video, Joe dimes the sustain on the CS-3 pedal to squash the dynamic range and create a particularly wide flange tone. While the band typically uses Phaser effects in their setups, the squashed flanger achieve a similar end.